Wheaton has once again been recognized as a Best Value College by The Princeton Review, in a list highlighting the nation’s 200 best institutions for academics, affordability and career prospects. 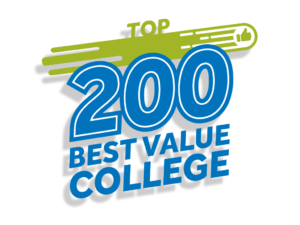 The unranked 2019 edition of “The Best Value Colleges: 200 Schools with Exceptional ROI (Return on Investment) for Your Tuition Investment” was released on Tuesday. Results are based on institutional data, student surveys and PayScale.com data that looks at alumni’s starting and mid-career salaries and career social impact. Wheaton also appears on The Princeton Review’s “The Best 384 Colleges, 2019 Edition,” as well as a number of other national lists, including the 2019 Top 40 U.S. Liberal Arts Colleges by Wall Street Journal/Times Higher Education and Forbes’ 2018 Top 200 Best-Loved Colleges.